This one didn’t sound incredibly appetizing so I’ve been putting off making it for weeks. But after finally making it last night (with a few tweaks to the original recipe to suit our family’s flavor palate) I realized it tastes almost identical to the veggie rice bowls at Chiptole. We loved it, and I bet you will too. While your rice is cooking, heat the olive oil in a nonstick pan. Saute onions until soft and starting to turn golden. Add the chopped bell pepper and cook for a few more minutes until soft. 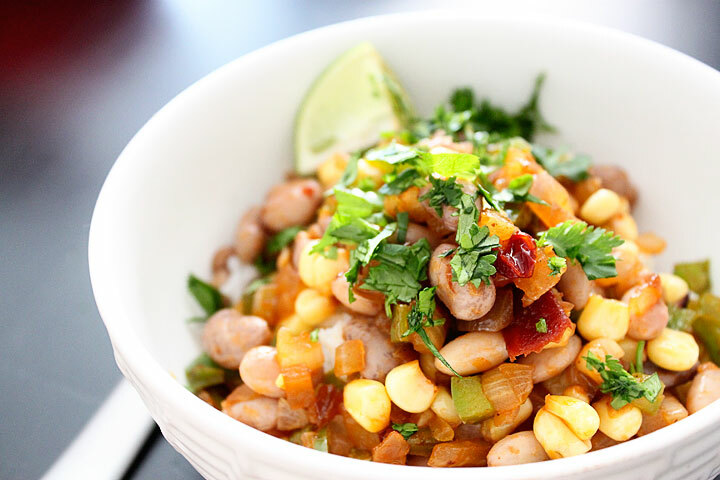 Turn off the heat and add the corn, beans, chipotle pepper and sauce*. Serve with hot rice. Top with lime juice, chopped cilantro, and a dollop of sour cream if desired. 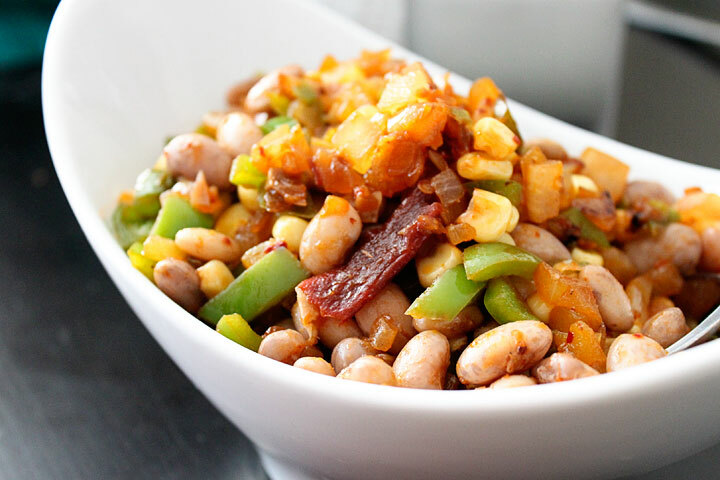 *The pepper and sauce are quite spicy, but the chipotle flavor is really what makes this dish work. The heat of the pepper is toned WAY down when you remove the seeds. Add a little bit at a time and keep tasting until it’s at a spice level you/your family can handle. The rice and beans really cut the heat as well. I love that you have developed a love of cooking. I distinctly remember watching you put margarine (still wrapped in foil) in the microwave. I sat there shaking my head as you wondered why it started sparking. What a long way you have come!